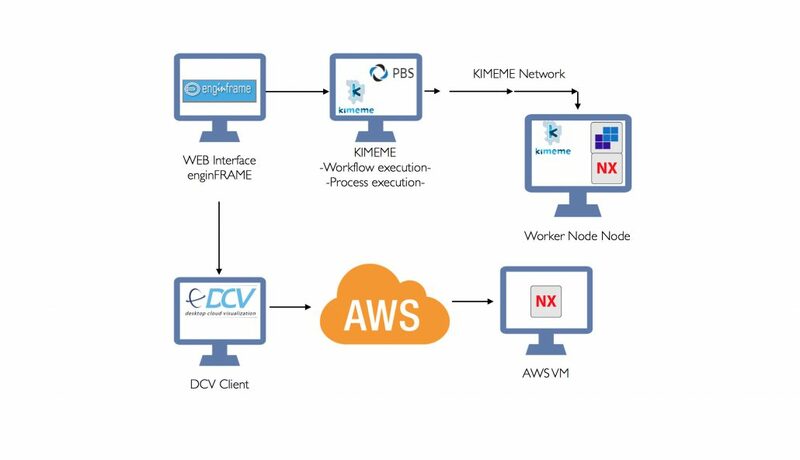 Use EnginFrame to run massive parallel computations on the Amazon Web Services cloud, apply state-of-the-art numerical optimization algorithms provided by KIMEME, share your design files on the cloud with your colleagues, and visualize the results remotely via NICE DCV. With just a few clicks. 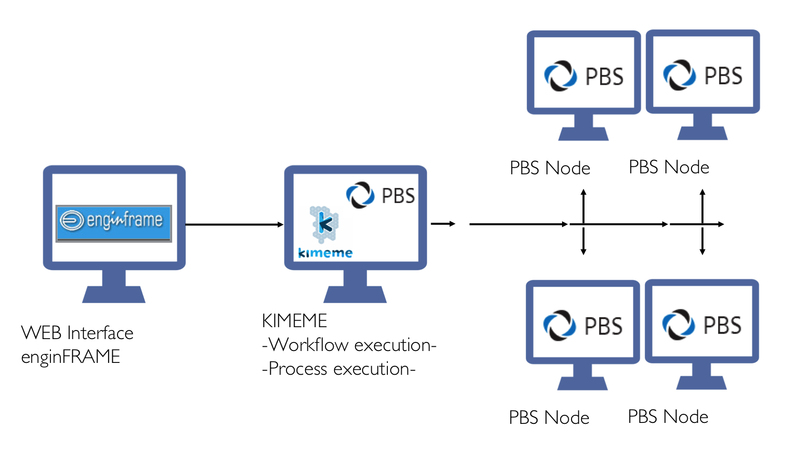 STEP 1 ➤ A KIMEME project (workflow) is exported as an archive file. STEP 2 ➤ The KIMEME project is imported on EnginFrame. 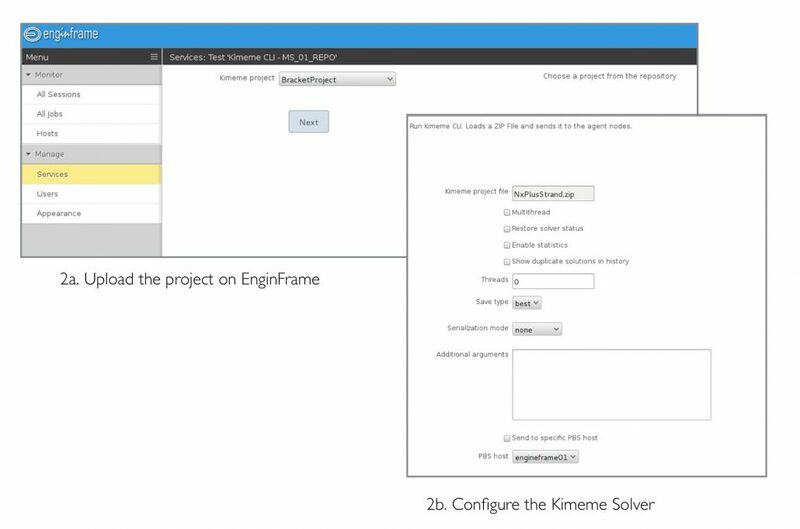 STEP 3 ➤ An EnginFrame service is automatically created in order to access the KIMEME project parameters and configure the execution type of each node. 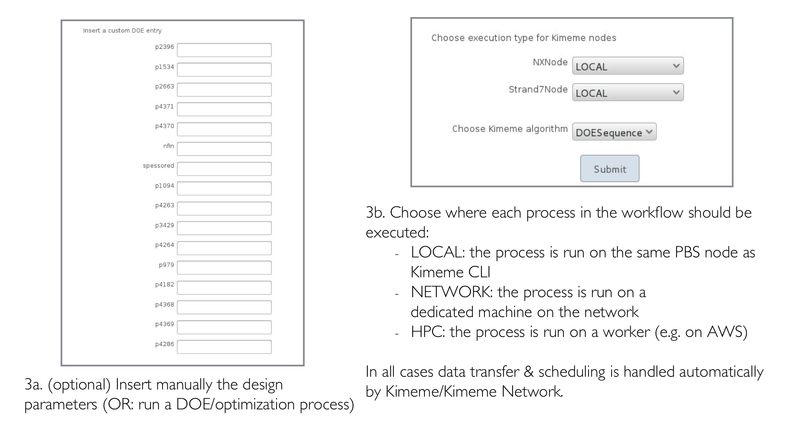 STEP 4 ➤ The EnginFrame service launches the KIMEME project on a computing node hosting KIMEME. The KIMEME Network spreads each single CAD/ CAE process on the cloud, with a deep integration for each third-party software supported. 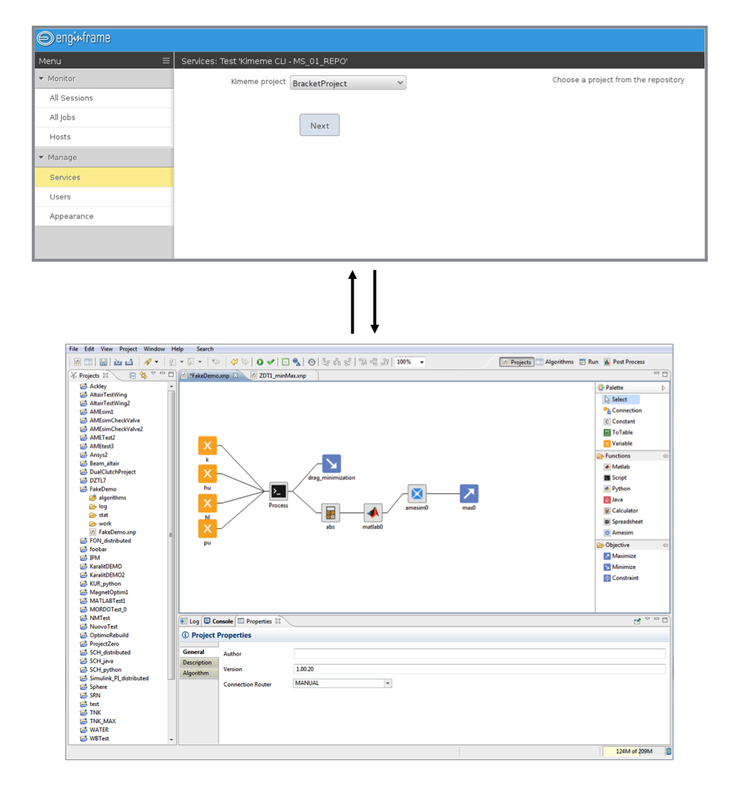 STEP 5 ➤ At the end of the execution, all the numerical results and files produced during the workflow execution are collected on EnginFrame. DCV remote visualization sessions can be opened simply by clicking on each result file. DCV remote visualization sessions can be opened simply by clicking on each result file.